Since most new and especially smaller computers and tablets don't have an optical drive, it can be a pain if you need to repair, reinstall, fix or even run windows 8 inside an existing operating system. By default windows 8 runs from a DVD which won't do you much if you dont have a place to run it. To install windows 8 from a USB device, there are a few things you need to do because simply copying installation files into the USB stick wont do anything. In order to create a bootable USB driver for windows 8, here are few steps to follow. Windows 8 DVD or the downloaded files. A working PC or windows Tablet. 1. Download the Windows 7 USB/DVD Download Tool and install it.- with this free program from Microsoft, you will be able to properly format your USB drive and copy the ISO file. 2. Create an ISO file from the WIndows 8 DVD of the installation files you have just downloaded. if you are not familiar with how to do this click here. 3. Open the Windows 7 USB/DVD Downloading Tool which should now have an icon shortcut on your desktop or startscreen. browse for your ISO file, and then click next on the tool just as you would during installation of any program. 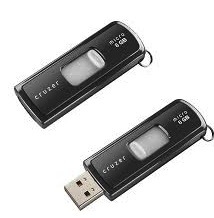 On the media type choose 'USB' before you start the copy process just to make sure you are copying to the right drive. Many of the steps are self explanatory and the end of the process you should see a message Bootable USB created successfully. You should now be able to use the USB device for installation or just running windows 8 from the stick. Thanks man, just what i was looking for, i have been trying to create a bootable USB but no luck. i didn't know you could use the windows 7 tool. You are welcome, the windows 7 tool is perfect and very simple to use, you won't need further instruction on how to do it, its just as easy as 123.